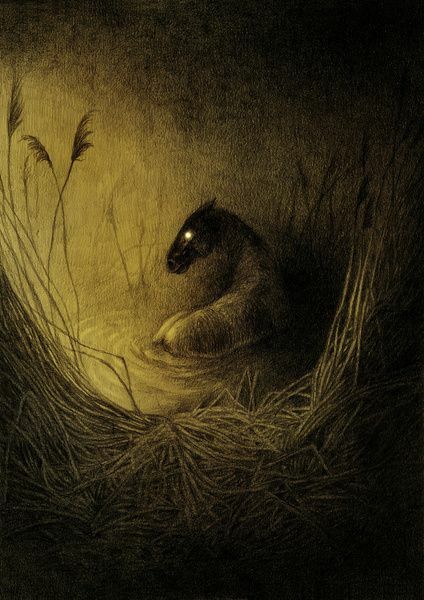 Who better to explain these mysterious water horse shape-shifters than Rez, the kelpie stallion in "Dark Water"? “The tales of kelpies were told to keep children away from the water, morality tales about trespass and trusting strangers. pets or companions. They were status, transportation, help in the fields. A good horse could elevate a family’s fortunes, so the mysterious horse was a powerful lure. Usually, they were white but not always. In some stories, they have coats that always drip water. In others, their manes and tails are seaweed or their hooves are turned the opposite direction compared to land horses.